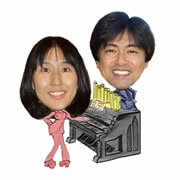 Husband and wife organ duo Kiyo and Chiemi Watanabe have appeared by invitation at premier events in both the U.S. and abroad, including organ festivals at Spreckels Organ Pavillion in Balboa Park, San Diego, California (1993, 1995, 2000, 2004, and 2017), and Iglesia Catedral in Morelia, Michoacán, Mexico (1996 and 2000). Other performances include those to sell-out crowds at Izumi Hall in Osaka, Japan (2010) and concerts on noted historical organs at Eglise Saint-Roch cathedral in Paris, France (2009), and Schleswig Cathedral in Schleswig, Germany (2008). In 2010, the couple was included on a Pipedreams Live event, presented on the Lay Family Concert Organ at Morton H. Meyerson Symphony Center in Dallas and aired locally on WRR-FM. Pipedreams Live is produced by Minnesota Public Radio, carried by 136 stations, and heard by nearly 250,000 listeners. In conjunction with the broadcast, Kiyo and Chiemi were featured by KERA-TV in a segment of Art & Seek, a Metroplex community arts show highlighting premier regional performers and events. In 2012, the pair presented the dedicatory concert at the 4,000-seat Stonebriar Community Church in Frisco, Texas, on its new 278-rank hybrid organ, one of the largest digital organs in the country. In 2017, Kiyo and Chiemi were back for fifth time at the Balboa Park, giving an organ duet concert for the International Summer Organ Festival once again in front of an audience of over a thousand people. Their concert program includes variety of music that entertains general public audience with the works written for organ solo and duet, in addition to major classic music transcribed for piano and organ. As a composer and arranger of organ music, Kiyo has become a prolific writer for the TRUMPH Music Publishing House in Sweden. Other publishers carrying his works for organ, flute and piano, choir, and handbells include Alfred, GIA, Harold Flammer, Hope, and Abingdon Press. Kiyo holds a bachelor of music degree in organ performance from Baylor University and master and a doctor of musical arts degree from Manhattan School of Music. A native of Aichi, Japan, Chiemi Yamada Watanabe has presented concerts throughout Japan and in Mexico, and has appeared in solo performances on many of New York’s most historic organs, including those at St. Patrick’s Cathedral and Alice Tully Hall at Lincoln Center. 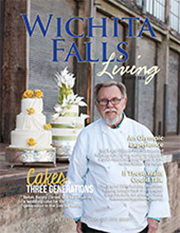 Chiemi has served as organist and music director at Floral Heights United Methodist Church in Wichita Falls since 1997. There, she directs the adult handbell choir and accompanies most of the voice choirs. Since 1998, she has presented an organ concert on Palm Sunday every year. Chiemi has studied with some of America’s leading organ teachers, including John Weaver at The Juilliard School and McNeil Robinson at Manhattan School of Music, with additional study under Joyce Jones at Baylor University. Chiemi earned a bachelor of arts degree in sociology from Kwansei Gakuin University in Hyogo, Japan, and a master of music degree in organ from the Manhattan School of Music. Not only accomplished as a concert organist, Chiemi is also a virtuosic pianist. Her performance of Rachmaninoff’s “Piano Concerto No. 2” at the AGO (American Guild of Organists) Regional Convention in Fort Worth of 2015 gave her a multiple standing ovations. She has also performed Gershwin’s “Rhapsody in Blue” in several occasions, while her husband played the orchestral part on the organ. When not following musical pursuits, Chiemi enjoys photography and is a faithful practitioner of yoga.